It's time for another monthly Hits & Misses roundup! This month includes plenty of lip products to keep those puckers nice and moisturized during the frigid cold. I woke up this morning to snow on the ground, which may be our first tangible snowfall this year. Burrr, I'm so glad I don't have to drive a terrible distance through bad road conditions anymore like I had to for my last job! For some reason I feel like I have been drawn toward more natural makeup lately with the shorter lashes and neutral-colored blush. It's so weird because I've always been a pinky-peachy type of blush person! Maybe the weather has also caused me to be lazy with my makeup and just grab my go-to favorites but I must say, it will be very difficult in the future for me to find an obsession beyond the Naked palettes, Tarte blush in Exposed, and Revlon Lip Butters. Speaking of Revlon Lip Butters, I've heard some comments from people saying that it dries their lips out (Maybe similar to how the Lancome one dried my lips out?) after a couple hours of wear. I haven't had this problem personally but I just wanted to bring up the possibility in case it's been an issue for you. Everyone's chemistry is a bit different so feel free to have an open discussion in the comments. I also wanted to bring up a lip balm that others love but I've actually had a terrible time with: EOS lip balms. Oh and for the Tarte blush in Exposed, I have swatches here and used it in this SNSD The Boys tutorial. Don't let online pictures fool you (such as this stock photo from Ulta above), this is a neutral pink blush, not a bronzer brown! I don't think I've had a blush obsession this strong since I first fell in love with my dearly discontinued Rock & Republic blushes, may they rest in peace. the lip butters look so promising! i really want to try them as they remind me of the kate spade lipsticks. i love my eos lip balms! i think you just got a bad batch. they're supposed to feel like a very thin layer, kind of waxy. Really want to try the lip butter. hmm ok i'm so glad I read this since I was going to buy the EOS lipbalms! When I used to work at Walgreens, so many people would come up to me asking if we had those in stock.The Revlon lipbutters sound nice- thanks for the review. i wear the kate spade supercalifragilipstick every time I put on makeup. it's literally the only lipstick i will use because it feels like a lip chapstick. Since I love eyeshadows so much, lancome kitten heel (the best rose gold eyeshadow I can find) and color du jour together is my absolute favorite eyeshadow combination of 2011. period. I bought Tarte Exposed during the Sephora FF sale and I have used it almost every day since! (more than 1 1/2 months) which is totally unprecedented for me. I literally have to force myself to use the other dozens of blushes I have :P Other obsessions I have are the Wet'N'Wild bright matte lipsticks and Chanel Dragon. Speaking of which I should wear a bright lippie tomorrow to cheer me up from all of this finals studying! I have yet to try the revlon lip butters but I've had A good experience with the EOS lip balms. They glide on smooth and I think they are great to prep n moisturize your lips before lipstick. I also love Tarte Exposed. It's such a great everyday color that goes with almost Anything. definitely have to try tarte blushes! i'm totally obsessed with my tarte clay blush in blissful!! i used to reach for my NARS Amour blush but now that i bought this one during the FF sale, i can't stop using it. i really want to get it in the color exposed now! &&just wondering, what are your thoughts on the Synthetic Kabuki Kit from sigma? I really want to order it, but I've never ordered or owned any sigma brushes, so I just want to be 100% confident that I want them before I order them! THANKS! Ahhh I've GOT to have that blush now!!! I honestly didn't see myself being "into" blushes at all, but now I'm obsessed with Tarte blushes! Have to find a way to lay my hands on some. Don't live in the US so it's going to be a bit tricky. Thanks for the video Jen! I've been dying to try that blush! But Sephora was sold out :( going to try another store today. 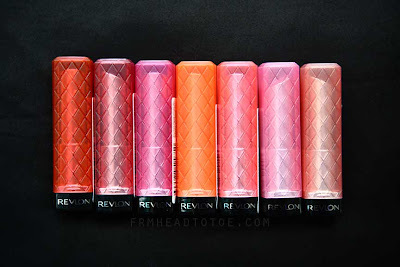 I've been having a really hard time finding the Revlon Lip Butters in San Francisco! I saw them in Daly City at Target but I kind of don't want to pay the full price when I know CVS had a BOGO. ANyway, thanks for the review. I wholeheartedly agree with you on the EOS lip balms. They do NOT work for me at all. When I am able to get it to glide on, it just leaves a waxy feeling on my lips. It doesn't feel like it actually does anything. I still use mine though since I have them in each and every single flavor hahaha. I feel like they smell good though. The EOS lipbalm does feel pretty stiff and plastic-y at first, but as another commenter said you have to "break it in". After a few times the balm glides on and it's really nice! It's a bit waxy, but I love it! I hate vaseline based lip balms, it breaks me out around my mouth so I won't look into these lip creams, but you had me interested in the blush, the color is soo beautiful on you, love it! I reallly recommend 2 lipbalms that I put on every day and night! oh no! that must have been a dud eos lip balm! they are definitely NOT supposed to feel like that! :( they are stiff, but they still glide on easily. :) give it another go? I have had the same experience with EOS lip balm. I thought I loved it at first but I realized that it is simply just not my type of chapstick. I feel that it is just mainly for the fragrance. The aroma of it may be alluring but it may be too strong for my lips because I got an allergic reaction to them. It gave me red bumps under my lip area near my chin and I stopped using it for a week and they were gone. I used them the next week and they were back again so I could conclude that EOS lip balm was not for me. As for Lip butters, I agree with you in non-scented. I absolutely love them especially with how hydrating it is. You are definitely not alone on your opinion in EOS lip balms. those tarte blushes and the lip butters sound amazing! to answer your question, i think my biggest beauty find of the year is the clarins vital light serum--normally i'm super skeptical about products that are like "we lighten your dark spots, make your face better, and cure cancer!" but this one really works for me, and it doesn't break me out (i don't think i have super sensitive skin, but when i try new things, my skin tends to have a disproportionate freakout reaction, and there was none of that towards this serum). the other, less highly endorsed thing is the l'oreal true match super blendable compact makeup... i hate foundations; i always feel like an oil slick has been caked onto my face when i put foundation on, but this one works surprisingly well for me... however, i usually only use foundation for special events, so it's never on my face for longer than five hours. I hate the EOS Balms too. They are not soft at all and don't moisturize at all for me. Have you tried any of the Nivea lip balms. I love those a lot. your blog is great! i just recently came across it and have been thoroughly enjoying it!! i've gotten 3 of the colors you swatched for the lip butters!!! My friend's name is Vienne Cheung! thank you again for your lovely blog! So sad . . . in Germany it is so hard to get Revlon. I've been looking for a good eye cream that's actually hydrating. I've been using Lancome's Genefique eye cream and found it wasn't hydrating enough especially during the winter months. I'll have to check out the Jeune D'Age eye cream. Can't wait to check out all of your other hits for the month. I clicked the link to order that eye cream, but for some reason when I click to buy it, it doesn't show up in the cart. =[ I really need a good eye cream since the skin around my eyes are flaking like crazy! Can you help? I use the EOS lip balm and have had no problem with it not gliding or being stiff. It's very smooth and easy to use. And I love Tarte's Exposed blush! I have it as well and I love that I can make it darker if I want. I use it in place of a bronzer to contour my cheeks. Love! so many reviews going on about the revlon lip butters! hopefully i'll get my hands on them soon! Although I can understand how it may be hard to break in, once I cover my lips over it, the heat warms it up nicely, and it becomes soooo emollient! Also, it is just SO CUTE! I love having it sit on my desk and looking at it. It's so visually cute to look at... I certainly can't say that about my tube of mascara! BTW - I have the honeydew scented one. From all the lip balms I have tried, I only loved 2. One is Ceralip by La Roche Posey, which is really really mosturizing, non-colory lip balm, and great for chopped lips. For mosturizing (only, not that magic like Ceralip) I go with Korres. The lipstick, and the jar are both good. oh man, I have searched high and low for these lip butters; however, Hawaii just doesnt have it! >_< Target brought in 1 shipment and has not replenished... :( Can't wait until they bring more in! Hi Jen, do you know what happened to the Jeune d'Age Organics company? Can't seem to access 2 of their websites. Really appreciate your help! Thank you! Unfortunately I don't know what happened to Jeune d'Age. I really haven't heard anything about them lately! I'm sorry I can't help much!